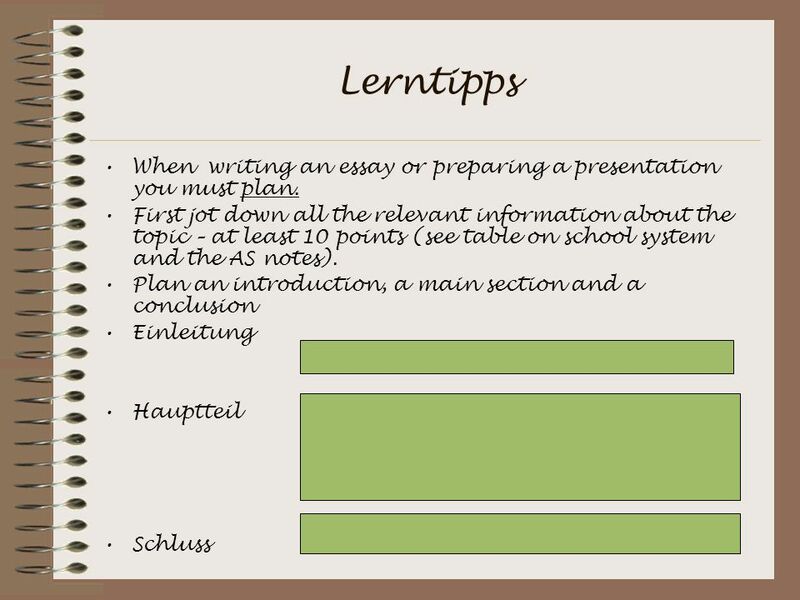 6 Lerntipps The introduction should give some idea of what you are going to discuss, some background and some personal interest. The main part should give information in a logical order and compare with Britain after each point. The conclusion must gather together all the pieces and you must give your own opinion at the end having weighed up the pros and cons. 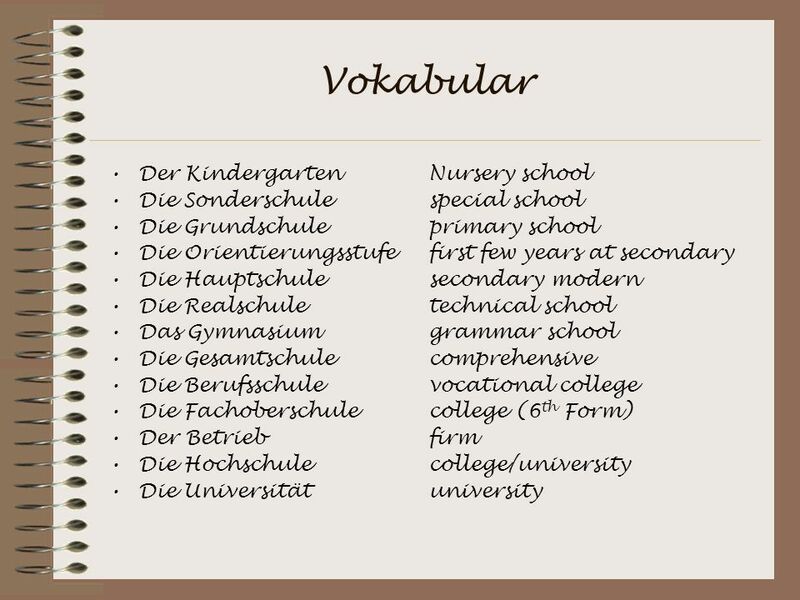 Note the phrases, vocabulary and structures you wish to include. 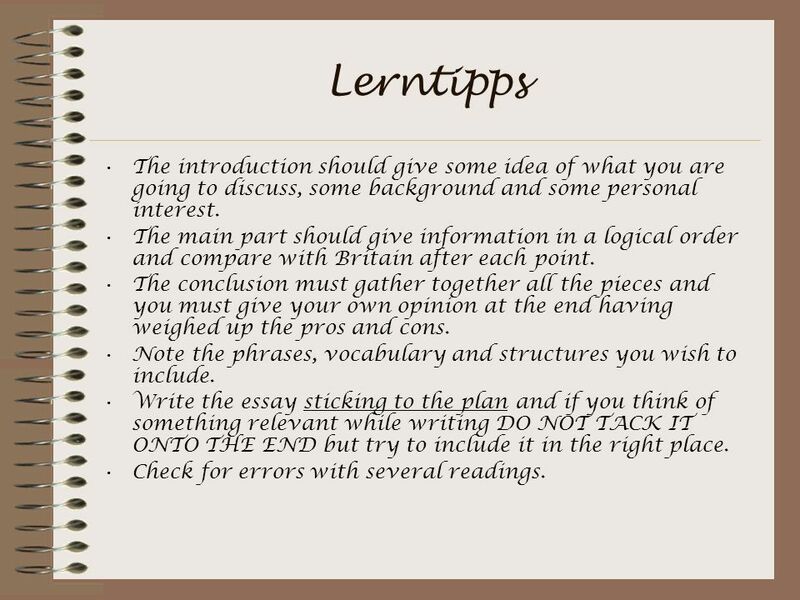 Write the essay sticking to the plan and if you think of something relevant while writing DO NOT TACK IT ONTO THE END but try to include it in the right place. Check for errors with several readings. 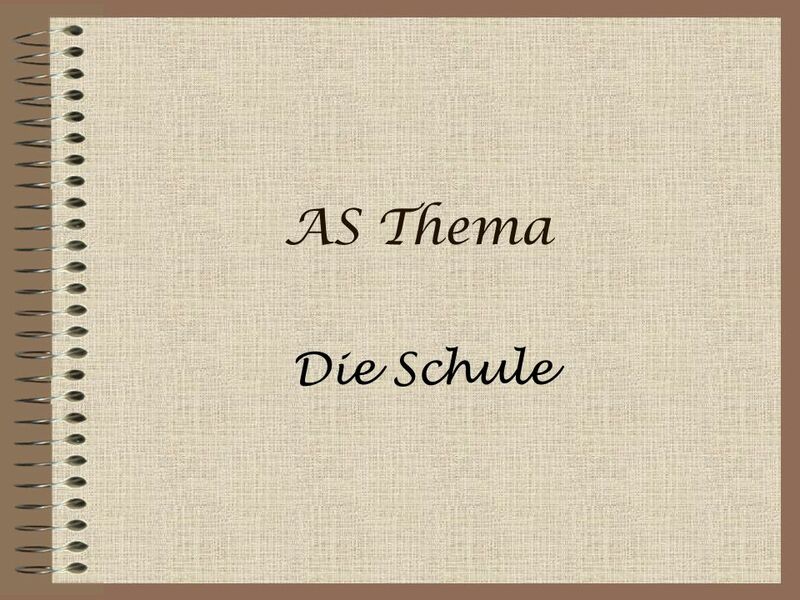 Herunterladen ppt "AS Thema Die Schule." Writing a formal letter Remember NEVER SAY DU SAY DU YOU DIE!!!! LOS! Filme-Titel-Quiz! 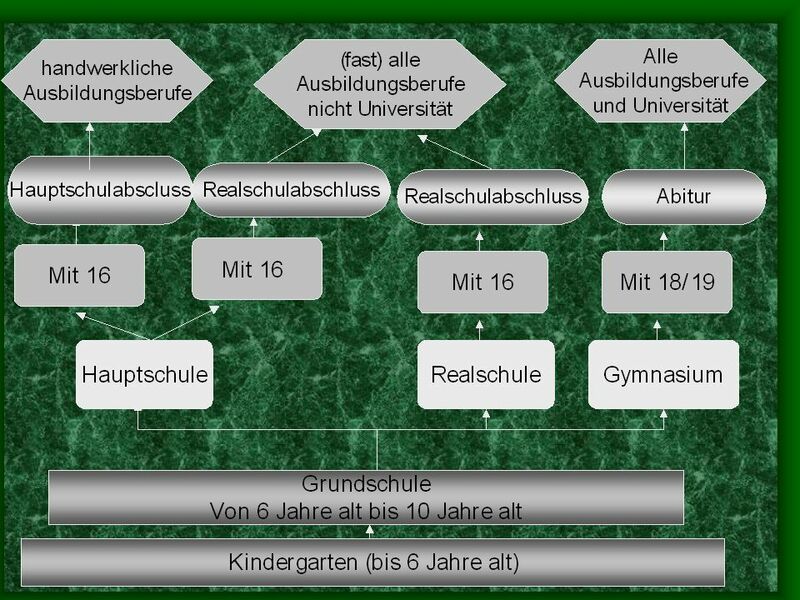 Welche Gruppe kann alle Filme richtig übersetzen?! 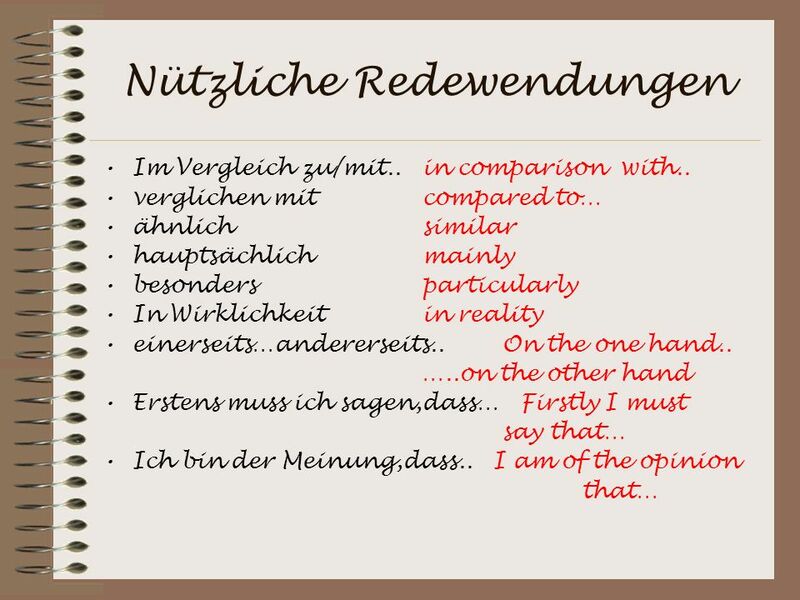 The Past Tense Die Vergangenheit To get a C at GCSE you need... l Opinions l Connectives/ time phrases/ adverbs l Future Tense l Past Tense. Introduction to the topic. 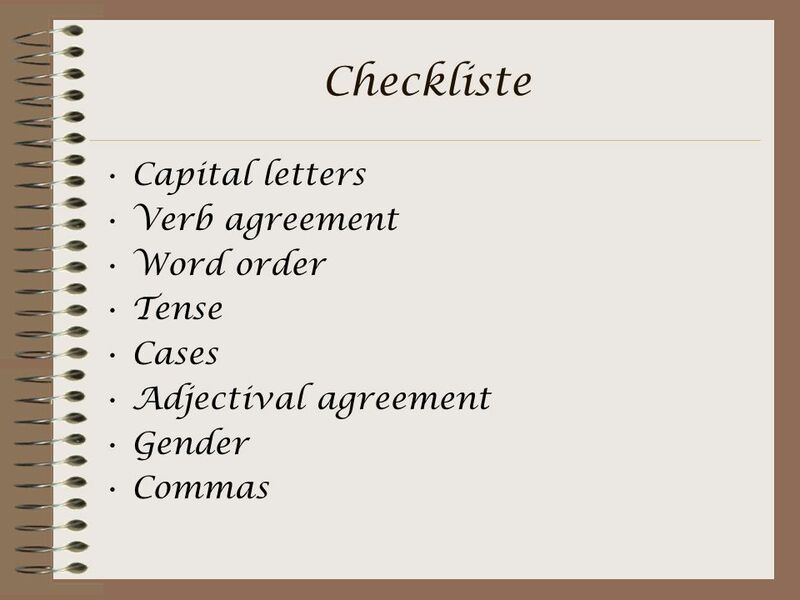 Goals: Improving the students essay style in general Finding special words and expressions that can be used in essay writing. 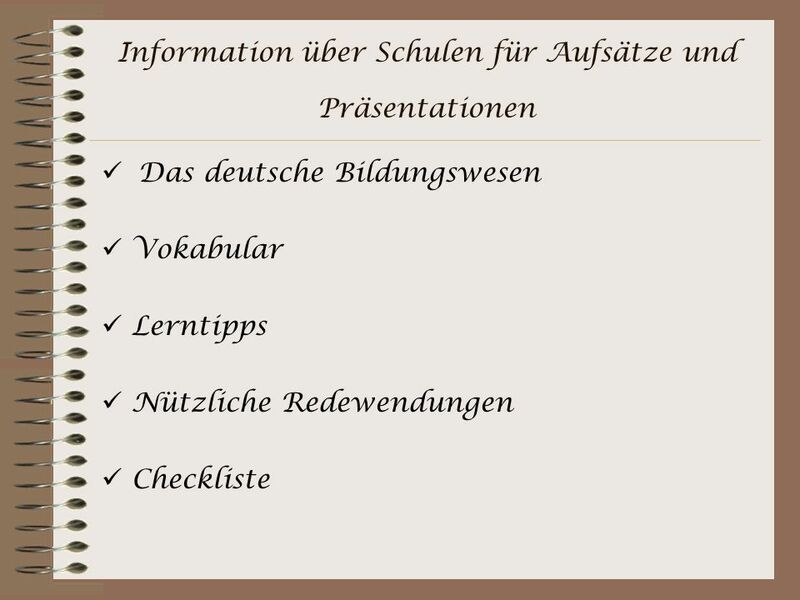 This presentation is timed so you will only need to click on the left mouse button when it is time to move to the next slide. Right click on this screen. Nouns. What is a noun O A noun is the name of a person, O place, O animal O or thing.